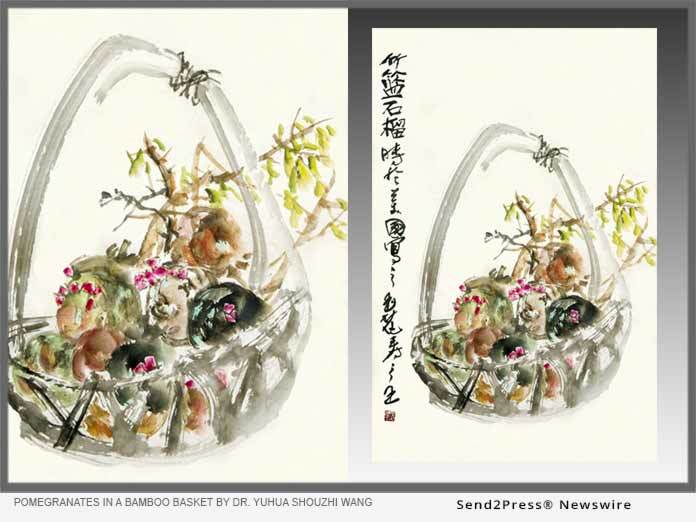 SAN FRANCISCO, Calif. /California Newswire/ — The International Art Museum of America (IAMA) in San Francisco today announced that on March 18, 2019, the painting “Pomegranates in a Bamboo Basket” by Dr. Yuhua Shouzhi Wang was sold at the exceptional price of US$1.27 million during the spring auction at Gianguan Auctions in New York. Dr. Wang has been recognized by the New York Academy of Art as an international first-class artist. The auction price of this small painting, which is only twenty-seven by eighteen inches, astounded the art market! Dr. Yuhua Shouzhi Wang was recognized and chronicled in the United States Congressional Record as “a great artist and sculptor,” and “treasure of the world.” In 2013, President George Christophides of the World Federation of UNESCO Clubs, Centers, and Associations (WFUCA) conferred the title “2013WFUCA” to one of her artworks.